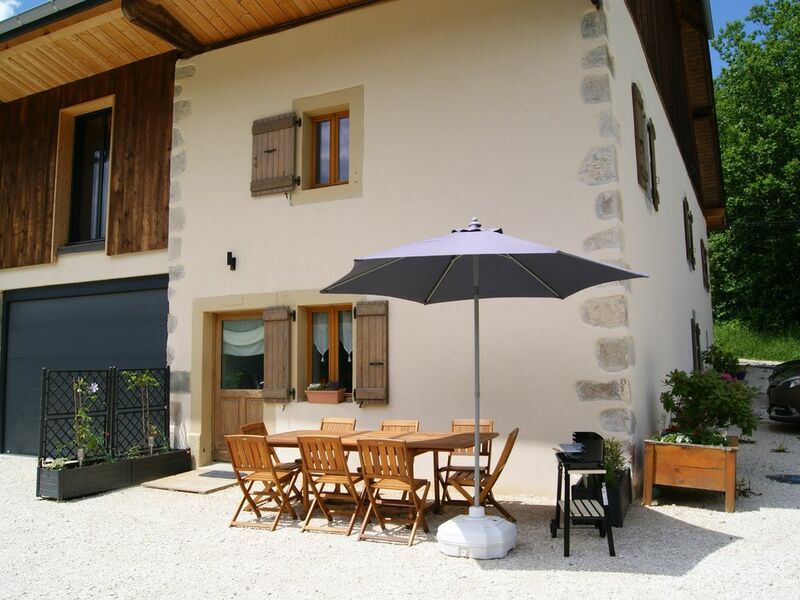 The cottage Eranies welcomes you all year in a recently renovated mountain farm with unobstructed views of the mountains of the massif of gliéres including "sous-dine". Ideally located 900 m above sea level in a hamlet 4 km from thorens-gliéres in the center of the department of haute-savoie, this place is propitious to many mountain activities, winter and summer. the cottage of 120 m² includes the ground floor a kitchen, a large living room to eat, a relaxation room and a bathroom toilet.at the floor 2 bedrooms with double bed and 1 bedroom bunk bed and single bed, bathroom bath and a toilet. washing machine and wifi as well as sheets are included. provision of games and toys for children, dvd etc ... outdoor games in common.